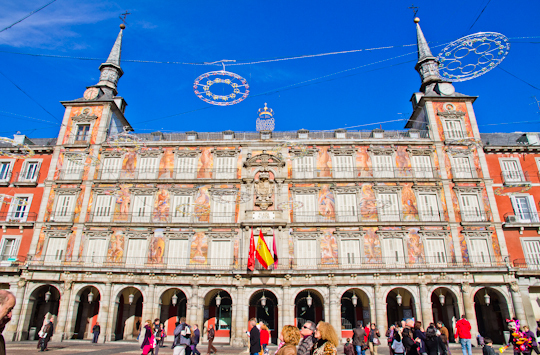 Bright blue sunny skies, delicious “made by Grandma” food, lively parks, world-class museums, shopping, and arguably the best nightlife in Europe… who couldn’t use a little escape to Madrid once in a while? And while the prices are climbing quite noticeably, it’s still a deal compared to Paris. 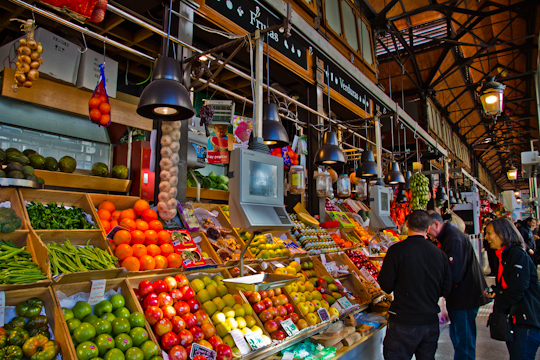 But if you visited Madrid long ago and remember it as a rather parochial, isolated capital, you may be shocked by more than just the change in prices. I lived in Madrid in 1996 and again in 1998-9. But the city has changed so much since those days. 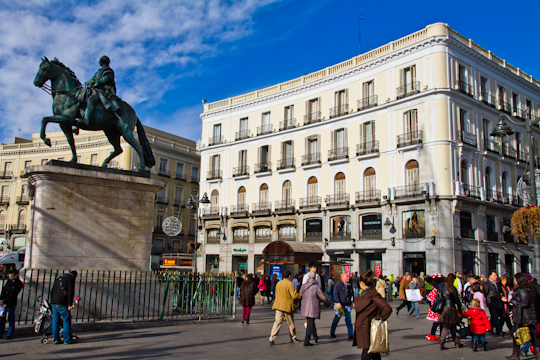 Madrid is now a much more cosmopolitan, cutting-edge city, yet it has not lost its neighborhood charm. Speaking of changes, let me personally thank Spain for finally going smoke-free! What a joy to sit in a restaurant and actually be able to see the person across the table from you. If you experienced Paris before January 1, 2008, you experienced nothing compared to Spain in the smoking free-for-all days. So muchísimas gracias, te felicito. This is only the second time I have been to Madrid and stayed in a hotel. Staying in a hotel in the city center did make me feel a bit like a tourist again – in a good way – and gave us incentive to try out some new restaurants and architectural innovations such as the newly renovated Mercado San Antón and Mercado San Miguel (counterbalanced by morning runs in the nearby Retiro, one of the best city parks I have ever experienced) and explore (once again) some of the old neighborhoods in the city center. Early January can be cold, but we were lucky with a string of not-so-uncommon high 50s (F) and super sunny days and of course the rebajas. 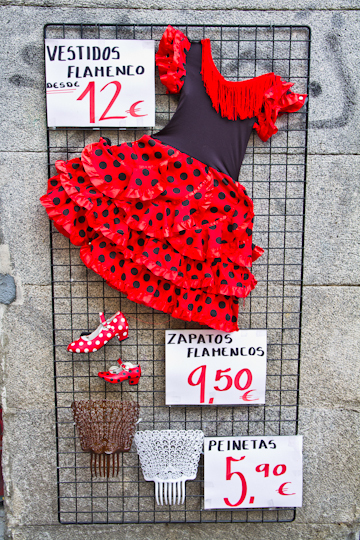 Yes, sales in Spain start a few days sooner than in Paris. Consider checking a suitcase so you have space to fill, if you don’t mind battling the hoards of fellow shoppers! I was fortunate to be able to catch up with old friends, for an update on their lives and also on Spain in 2012. There is widespread pessimism regarding the current economic outlook for the nation but the people of Madrid certainly still know how to make the best of it. 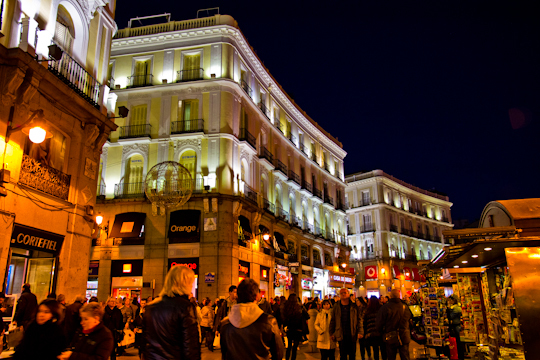 Madrid is known for la marcha, its exhilarating and don’t-forget-to-bring-your-sunglasses-’cause-you’ll-need-them-when-you-leave-the-club nightlife. 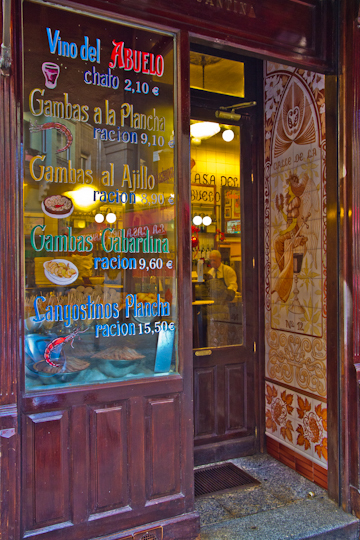 If you’re planning to take advantage, there’s no better way than finding a group of Madrileños to tag along with. Let the experts show you how it’s done. I have posted the details of our trip under Weekend Itineraries. Click here to see more photos from my weekend in Madrid. Every time I visit Madrid I tell myself I need to visit more often. Hopefully I will start making good on that soon.